Summer is the best time to take on that remodeling project or do a little work on the exterior of your home. The weather is typically dry and the days are longer, so you have more time to get the work done. Starting now while the summer is young is a good idea because in August it won’t seem so pleasant. 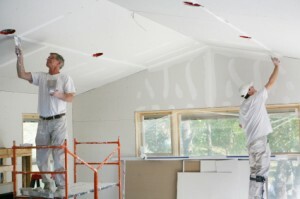 The end of June and the beginning to the middle of July are the best times to work on your home, especially if you have to open it up and work without air conditioning. Do the heavy-duty work now and save the finish work and painting for the tail end when it gets really hot. The first thing you’ll want to do before you start your project is contact Junk King and schedule an appointment to make sure you’ll be able to dispose of all the debris from your demolition and construction efforts. You don’t want to get stuck at the end of job with a yard full of wood and nails that you can’t get rid of. Many homeowners forget to do this and find themselves stuck with a bunch of extra junk that they can’t handle. It’s part of the job, so make sure you add it in when you do your budget for the project. The next item on your list will be materials. Buy everything you need in one shot so you don’t have to worry about having a home open to the elements because you couldn’t finish the job. Do-it-yourselfers have a tendency to operate on shoe-string budgets. That’s fine if you’re replacing a bathroom sink or putting in a new closet, but when it comes to a full remodeling job you’ll want to make sure you cover all bases. There’s nothing worse than having to scramble for extra dollars to finish a project you should have had properly budgeted before you began. Your wife (or husband) will never let you hear the end of it, so make sure your numbers are solid. While you’re doing your budgeting, create a column for time. It takes more than materials and effort to get a remodeling project done. You’ll need to have time to invest in the project also. Can you afford to take time off from work? Are your completion estimates realistic? What if something goes wrong? Will you have time to fix the problem before you have to go back to work? It’s nice to think that everything will go smoothly from start to finish, but you should plan as if it will be otherwise. You just never know what might slow you down during a big project. Once your budgeting is done and your materials are in place, you are ready to begin. Create a schedule for yourself that includes lunch hours and periodic breaks. You want to treat it like a job. Get up in the morning and set aside a certain number of hours to work on the remodeling. End your day when you say you are going to and you’ll finish the job on time without having to kill yourself while doing it. This entry was posted in home remodeling, junk hauling, junk king, Yard Waste Removal and tagged home remodeling, home remodeling budget, junk hauling, junk removal, scheduling remodeling, summer remodeling on June 30, 2011 by Junk King. Last updated June 30, 2011 .